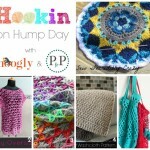 Hookin On Hump Day #111: Link Party for the Yarny Arts! Brr, it’s cold out there! Perfect weather for crocheting and knitting though, and that’s what we’re here for! Thank you for joining me, and my cohost Kara from Petals to Picots for another round of fantastic crochet and knitting links and patterns. 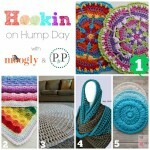 We share the best crochet and knit projects from around the web twice a month. 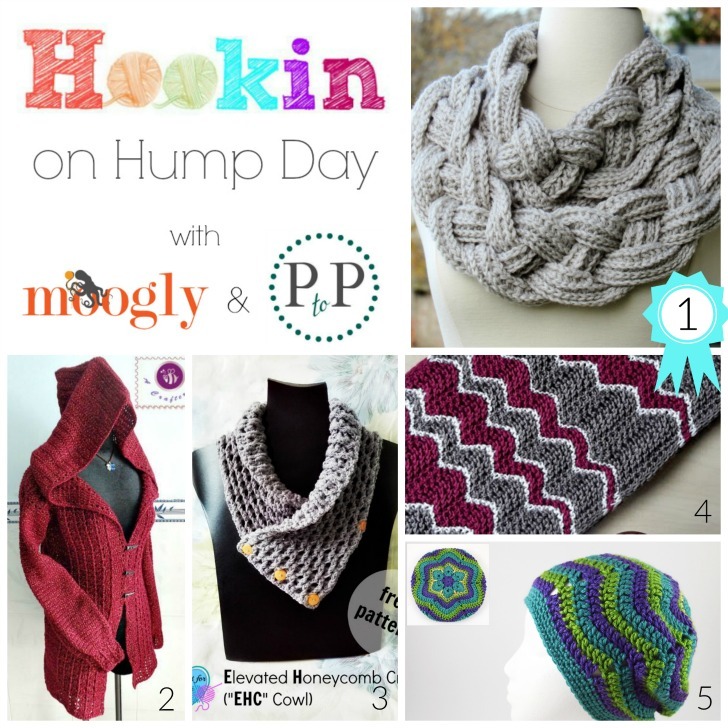 Hookin on Hump Day is hosted here on Moogly, as well as on Petals to Picots – and the featured projects from each round are featured on both our sites and social media shares! Here are the projects that your clicks and Kara put together this round! 1. 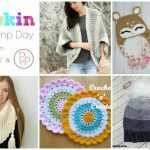 MOST CLICKED LINK: Double Layered Braided Cowl on My Hobby is Crochet Blog – I’ve been seeing this photo everywhere, and with good reason – it’s gorgeous! And it’s a FREE crochet pattern! 2. Crochet Overcast Sweater on Maz Kwok/Be a Crafter – This sweater is lovely, and FREE in size L, and available as a paid pattern in other sizes up to 3X! 3. Elevated Honeycomb Crochet Cowl on Crochet For You – Tons of texture in a modern look with this FREE crochet pattern! 4. Jolly Waves Cowl on Knitting and so on – This cowl is absolutely stunning – I’m in love! And it’s a FREE knit pattern! 5. Flower Ripples Slouch Hat on Charmed By Ewe – The classic African Flower motif begins this lovely FREE crochet hat pattern! so much eye candy here 🙂 I have to live to 200 to make all the projects I find here! I’ve often said, when I retire from designings, I’m going to have to get started making all the patterns that others have designed that I could only drool over! Do any of your patterns come with pictures showing step by step,and/ or titurials?